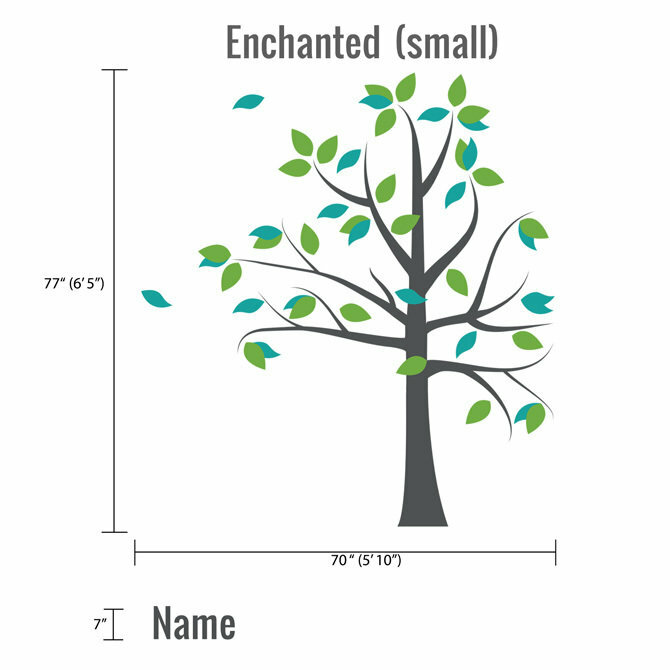 This wall decal tree is perfect for a boy and/or girl's nursery! 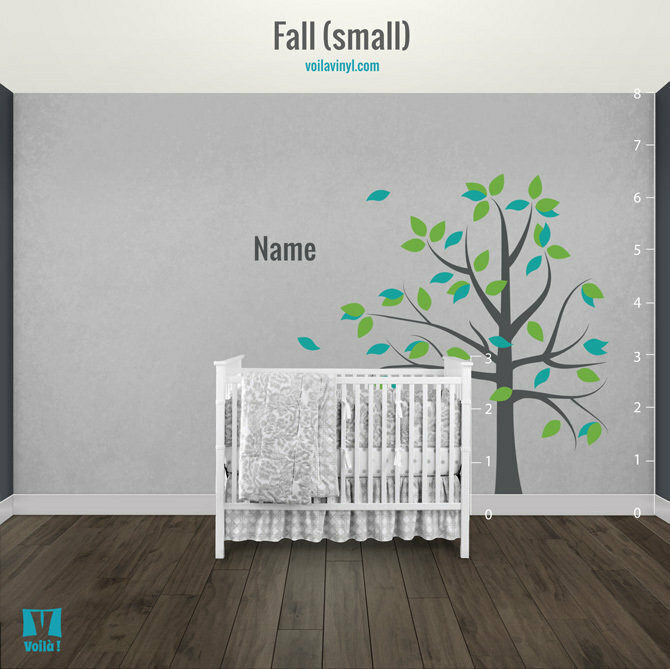 A neutral decor element but still as sweet as can be for your little angel. 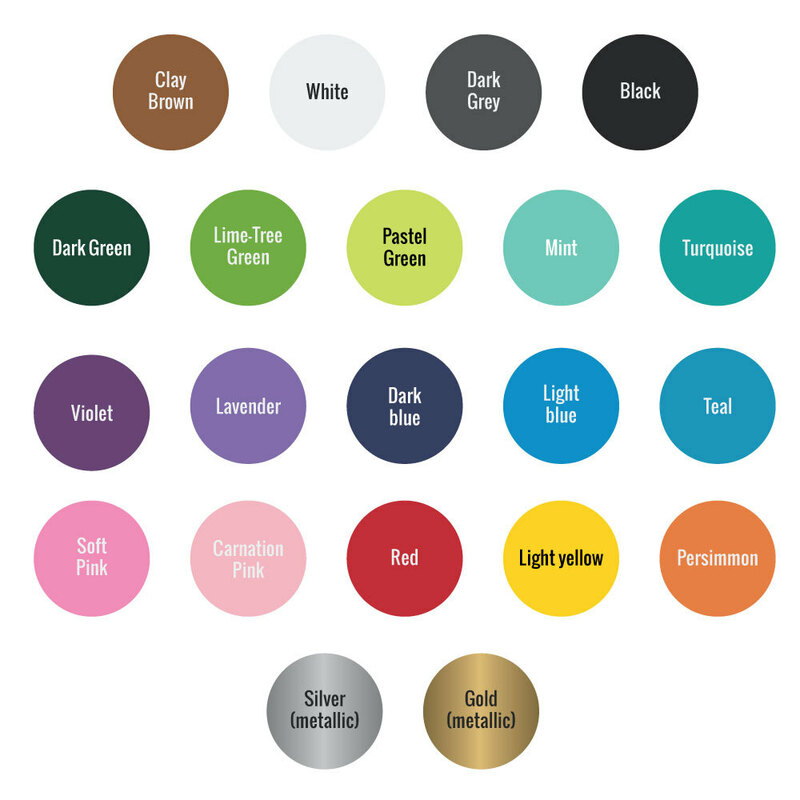 Customize it with the colors of your choice. 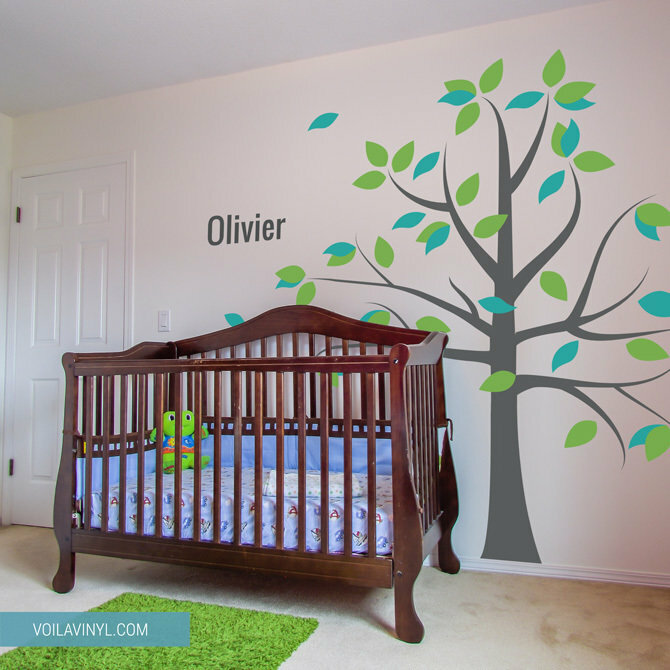 Easy to apply and removable! 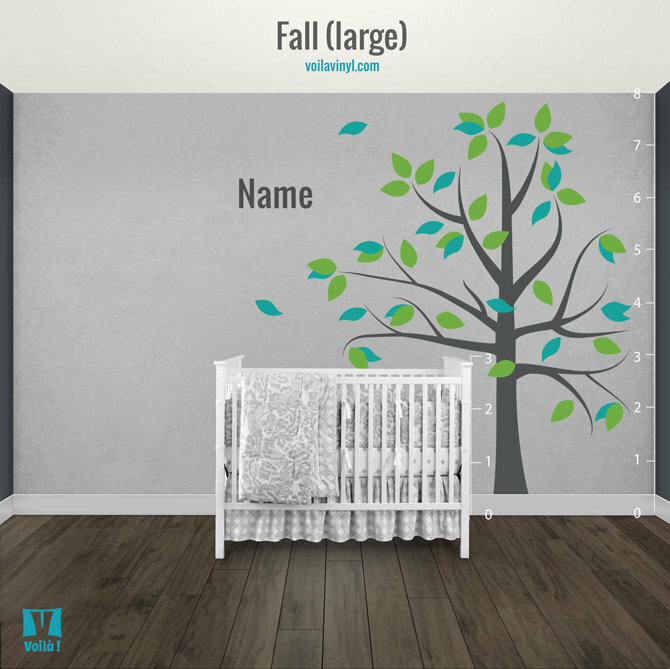 - This decal consists of a name, a tree and two sets of leaves. - The tree and the name are the same color.